Their research findings appeared in the April issue of the journal, ACS Nano. 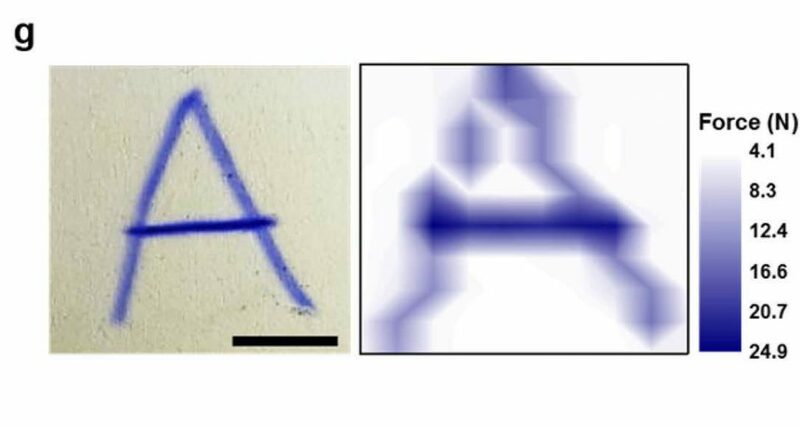 A recent study, led by an international team of researchers has introduced a new technique for controlling the alignment of flexible, transparent silver nanowires. 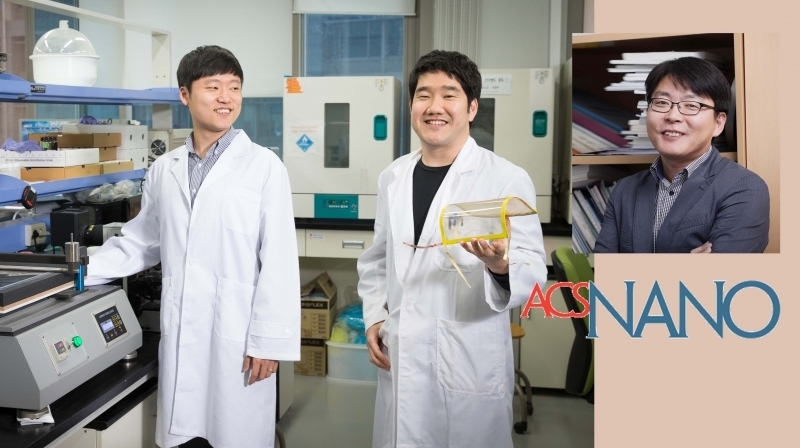 This study has been led by Professor Hyunhyub Ko of Energy and Chemical Engineering at UNIST in collaboration with Professor Stephene L. Craig from Duke University in United States. The results of the study have been appeared in the April issue of the journal, ACS Nano. In the study, the research team demonstrated large-scale, flexible, and transparent touch screens using a resistive touch sensor based on cross-aligned AgNW electrodes, which exhibited highly uniform and precise touch sensing performance across the entire region. In addition, the combination of the forcesensitive touch screens and a mechanochromic SP-PDMS composite film has been developed to simultaneously detect human writing force and location. Silver nanowire (AgNW) networks hold great application promise in various opteoelectronic devices, including the flexible touch screens. But until now, its application has been limited by their limitations in terms of scalability, controllability of NW density, degree of NW alignment, and large-scale uniformity needed for practical optoelectronic applications. To overcome these limitations, Professor Ko’s team developed a simple and high-throughput bar-coating assembly technique for the fabrication of largearea(>20 × 20 cm2), highly cross-aligned AgNW networks. According to the research team, their modified bar-coating assembly is not limited to AgNWs but can be extended to align other types of metallic and semiconducting one-dimensional nanomaterials (copper, silicon, indium phosphide, etc. ), as long as the NWs are formed in a solution state. Seungse Cho et al., “Large-Area Cross-Aligned Silver Nanowire Electrodes for Flexible, Transparent, and Force-Sensitive Mechanochromic Touch Screens,” ACS Nano, (2017).